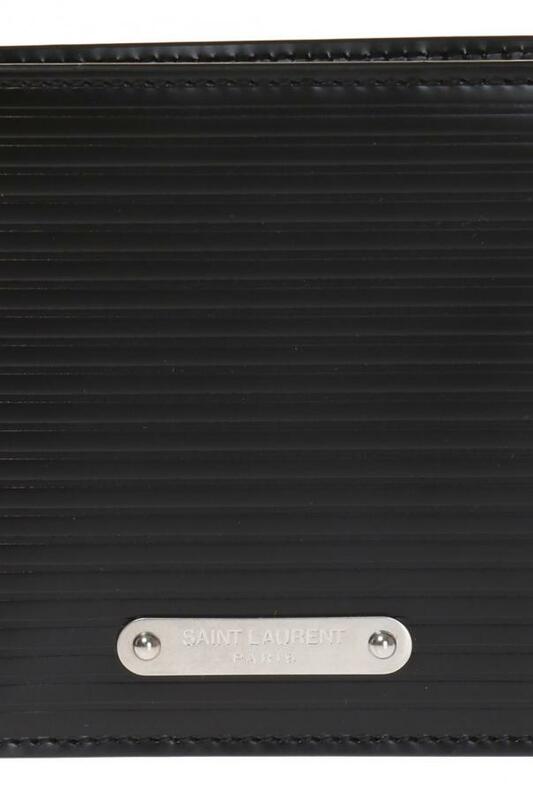 Black bi-fold wallet from Saint Laurent. Made of textured calf leather. Metal element with embossed logo on the front. 2 bills compartments, 2 slip pockets and 8 card slots inside.